Summer vacations are great ways to spend time with family, relieve some stress and create lifelong memories. Unfortunately, they also come with hefty price tags. According to a study by American Express, the average family of four can expect to spend between $1,145 and $4,580 for a getaway, meaning larger clans could find themselves dropping nearly $10,000. 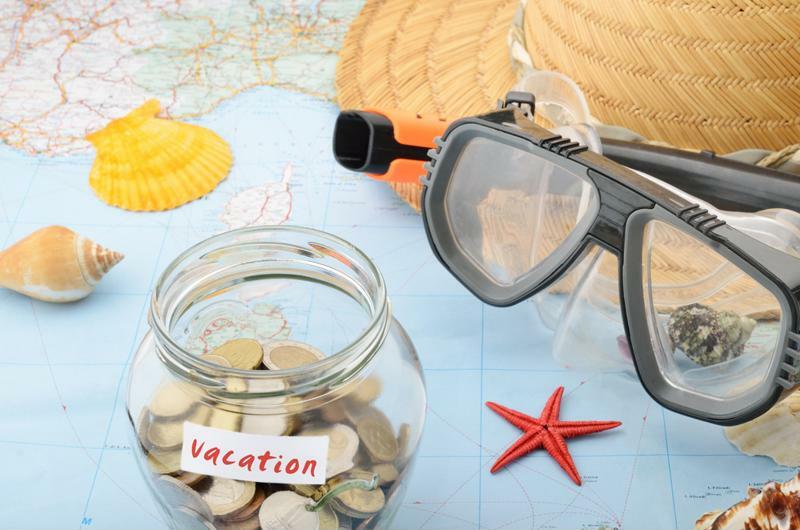 Although some travel expenses - like airfare and accommodation fees - are unavoidable, there are many ways to cut costs while still enjoying the trip of a lifetime. Food and beverages are one area where most travelers tend to overspend. Between picking up rest-stop snacks and fast food meals en route to you destination to eating at pricey restaurants for every single meal during your stay, the costs of dining can quickly overwhelm your vacation budget. By preparing food ahead of time and packing it using the The FoodSaver® FM5460 2-in-1 Food Preservation System, you can keep your family full without emptying your wallet. When you keep your food budget flexible, you're far more likely to drop unnecessary cash on snacks and treats throughout your stay. You may also feel less compelled to compare prices, shop around, visit grocery stores and pre-pack meals. As such, it's smart to establish a set-in-stone food budget before you depart. With the convenience of vacuum packing, you can minimize this expense by buying, preparing and vacuum sealing food ahead of time. It's nice to set aside a certain amount of cash for trying special restaurants and sampling local delicacies, but making your own meals is an easy way to stay within a strict budget. Packing vacuum-sealed food can help you stay within your vacation budget. For many Americans, vacation means firing up a grill and indulging in burgers, hot dogs and other classic summer fare. Cut cookout costs ahead of your trip by purchasing grillable products when they're on sale,and keeping them sealed in freezer storage until your getaway. Be sure to check your local grocery store circulars a few days before you leave so that you can score the lowest prices on meats and produce. Waiting to purchase these types of foods in vacation towns can saddle you with inflated prices and limited selection. For an even better grilling experience, marinate your meats while vacuum packing them. They'll be a tender and tasty addition to your trip. Another excellent way to keep food costs down is by staying in a hotel or rental property that allows you to refrigerate and cook food. Average hotels and motels may not provide much more than mini-fridges and coffee makers, leaving you to overspend at restaurants each time your family's stomachs start to growl. Before committing to a room, browse around online to see if your destination has alternative lodging options, like cottage rentals, RVs, or suites with kitchenettes. Most areas, especially those frequented by tourists, offer these types of accommodations, as they lend themselves nicely to trips that are longer than a few days. These spaces allow you to freeze and refrigerate your vacuum-sealed food, helping you stay within your food budget while still enjoying tasty meals. Non-hotel accommodations also tend to be more affordable per person, which means they may help you keep costs down in other areas of your budget as well.